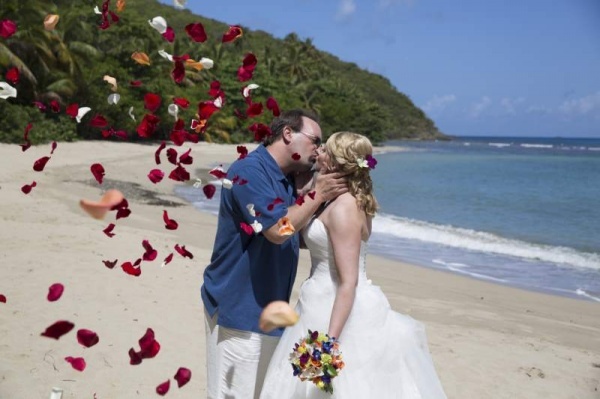 A few years ago we had a wedding on Lindquist Beach. The breeze was a little strong that day and I knew the minute I put down the rose petals the bride had ordered for the aisle, they would quickly blow away. Instead of adding them to the aisle, we kept them to the side and after the wedding, we handing them out to the wedding guess for a “rose petal toss”. 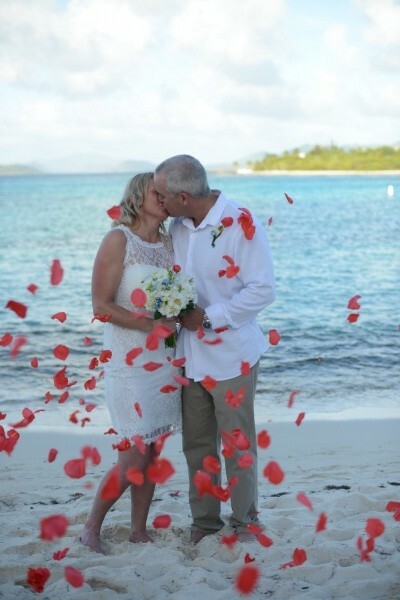 It was such a big hit that we added the rose petals to many of our packages, just for this purpose. 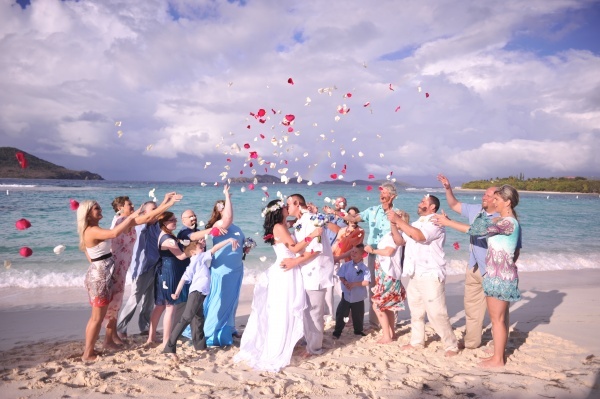 Couples can choose if they prefer to do the toss or add the petals to the aisle (or remove them from the package all together).